The Board of Directors and Management Agent of Homeland Village Community Association welcome you to Homeland Village. We realize new owners and residents have many things to do and think about as they settle in. This information was compiled to assist in familiarizing you with the community rules & regulations, local services, and to provide general community information. Homeland Village was developed in the late 1980s by the Artery Organization. It is comprised of 370 homes including 144 villa condominium homes in 18 buildings, 48 back-to-back townhouse condominium homes in five buildings, 141 townhomes and 37 detached homes. The community covers about 28 acres and amenities include three tot lots, tennis courts, and a community building with facilities including a poolhouse, community (party/meeting) room, swimming pool and wading pool. Large playing fields, a blacktop play area and exercise stations are located along the western portion of the property. Under the western portion of HVCA's property lies the Transcontinental Pipeline, a high pressure natural gas pipeline now owned by Williams Communications. Homeland Village was originally a small part of a 250 acre farm, Homeland Farm, built in 1879 and owned by George & Catherine Cashell. The property was later purchased by Lionel Probert, head of the Washington Bureau of the Associated Press and a vice president of the C&O railroad. 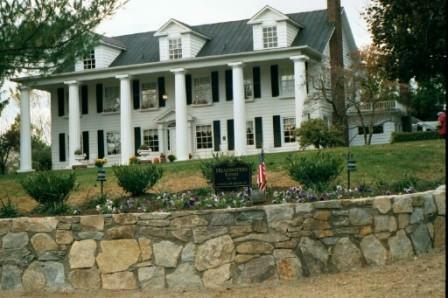 The Homeland Farm house burned in 1926 and Probert immediately rebuilt the home. There are many indications that the house he constructed was perhaps the largest ever adaptation of a Sears Roebuck mail-order catalog house. The driveway to the home was almost 3/4 of a mile long, starting at Route 108 on the site that now houses the Olney Post Office. Probert died in February 1937 and Harold Ickes, Interior Secretary to President Franklin Delano Roosevelt, purchased the property later that year. Ickes moved to the property the following spring with his new bride and renamed the estate Headwaters Farm. FDR visited Headwaters Farm regularly on weekends (in the days before there was a Camp David). Harold Ickes dies in 1952 and his wife, Jane, remained at Headwaters until 1971, when she sold 190 acres of the 250 acre estate to a real estate development company. 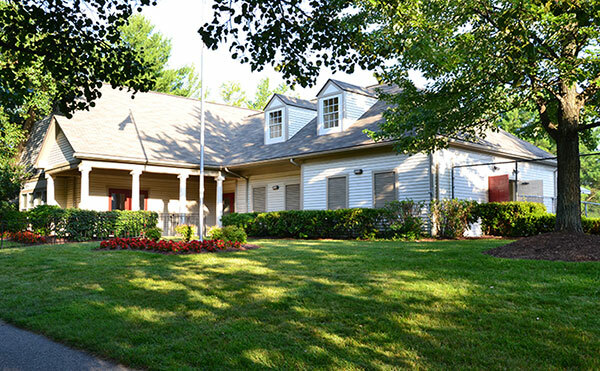 The original Headwaters/Homeland house is now a beautifully restored property on the Maryland Registry of Historic Homes and located on Shallow Brook Court in the Olney Oaks subdivision.